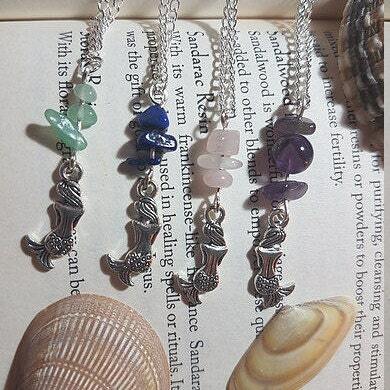 Silver plated Mermaid necklace. 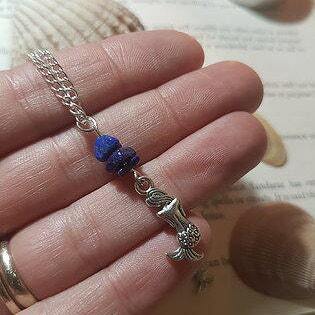 Listing is for ONE necklace. 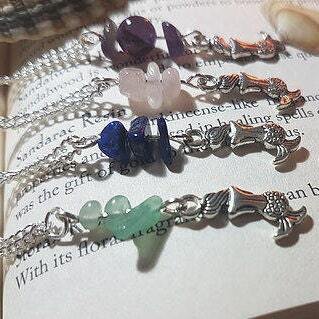 Choose from Amethyst, Lapis Lazuli, Rose Quartz or Green Aventurine. Green Aventurine is an all round healing stone that also helps release negativity and energy blockages. Lapis Lazuli is a stone of protection that can guard against psychic attacks. It can quickly release stress, bringing deep peace. it brings harmony and deep inner self-knowledge. Rose Quartz is known as the stone of love. 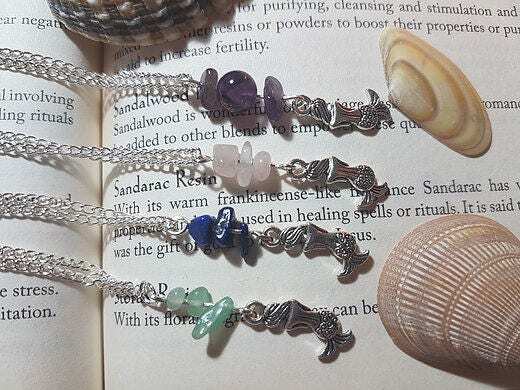 When placing it in your aura it can attract love in a form of a lover or a friend. It can also help to love yourself and can help balance your emotions after a hard day. Amethyst is a wonderful and invaluable stone. Amethyst protects the wearer and calms anxiety and anger. It is wonderful for depression sufferers and helps with insomnia. Wire, findings and chain are silver plated. Charm is silver tone and chain approx. 50cm in length.